Hit Play to Listen Now! Reined cow horse and working cow horses have always mystified me. I’ve watched a couple of competitions, even photographed a few. The things these cowboys have their horses do are amazing. In Bakersfield, where this podcast is based, we have a very special trainer. Doug Williamson is 73. He has been around horses and cows his entire life. From riding Thoroughbred racehorses at age 10 to winning the Snaffle Bit Futurity TWICE! 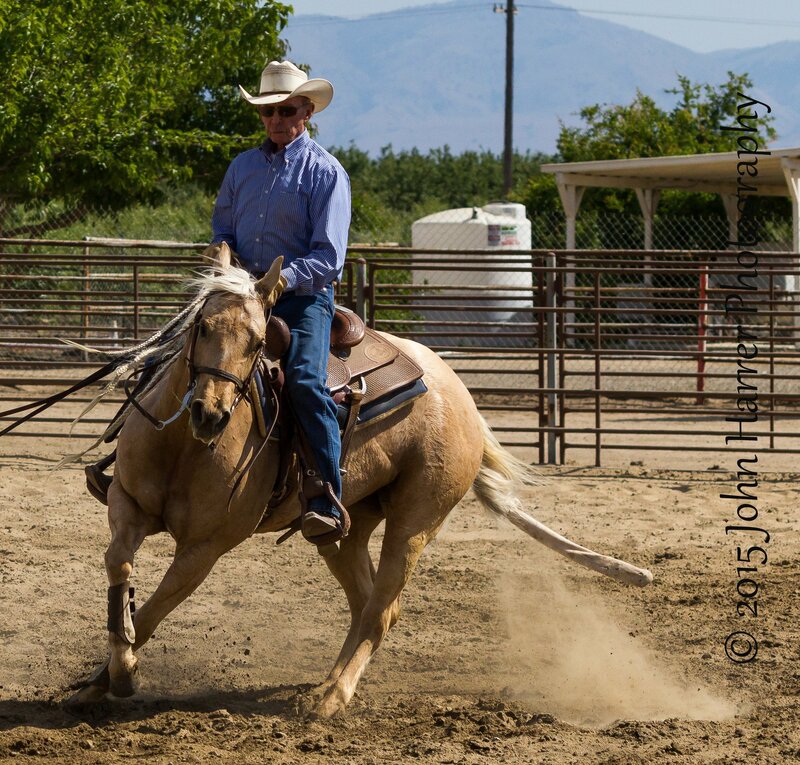 Doug Williamson is an AQHA Professional Horseman having trained 42 AQHA Champions. Doug won a million dollars in National Reined Cow Horse and is a Hall of Fame Rider. 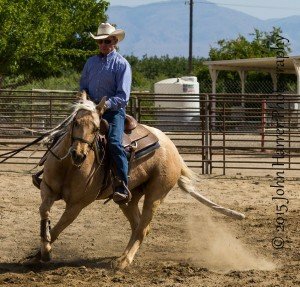 Although Doug Williamson specializes in Reined Cow Horses now, he has done just about everything you can imagine from the back of a horse. He was a pretty good team roper for quite some time. When I called Doug Williamson to ask for an interview, he graciously agreed and invited me to his ranch just south of town. Doug has a great facility and a lot of horses in training. Not only did I get a great interview, I got to watch him work three of his prospects. Throughout the whole process, Doug was giving me hints and tips about how to become a better horseman. Doug Williamson will be featured in an upcoming documentary about Reined Cow Horses called Down the Fence. I sat down with Doug in his office surrounded by wonderful photos of all the champion horses he has trained. He gave us a little bit about the story of his life and I even get him to offer some horsemanship tips. Can I get a transcript of the Doug Williamson interview? Sorry, Gale, I do not have one. I just listened to this Podcast with Doug Williamson and it was so great. 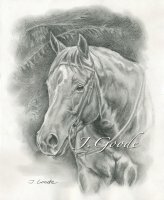 It truly is unbelievable what this great horseman has accomplished in his life. Also, hard to believe how very hard he had to work when he was very young, and then all throughout his life he has worked so hard. What a horseman!!!! Sorry, Carol I just saw your comment. Thanks for the nice words. Yes, Doug is quite the inspiration. I feel so lucky to have had the opportunity to sit down and chat with him. Thanks for listening.